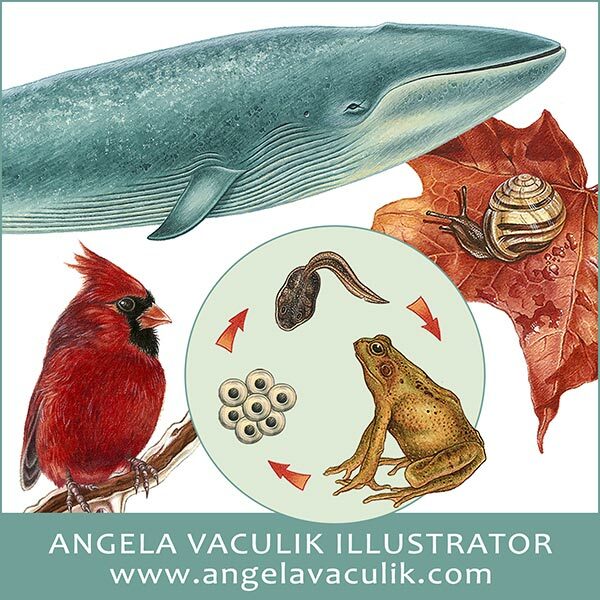 Web LinksAGP StudioMember DetailsAngela Vaculik is a freelance illustrator and graphic designer with over 20 years of professional experience. She has a realistic illustrative style and can easily transition to a more stylized approach. With a focus on natural science, her illustrations are captivating and colourful with great attention to detail. Using traditional and digital methods, Angela’s primary goal is to deliver exceptional impactful art. She has worked with a wide range of clients including educational and trade book publishers, magazine publishers, authors, advertising agencies, design firms, product designers, and small enterprise. Angela graduated from the Sheridan College Illustration Program in Brampton, Ontario with an award for Outstanding Achievement.